Despite the new iCloud Keychain feature in OS X Mavericks, I still prefer the power of managing my passwords in AgileBits’s classic and popular 1Password, now in its fourth version. 1Password not only takes care of your login information, it’s also a great tool for securing and storing other information, including bank account numbers, secure notes, and software licenses. 1Password can sync your data across all of your Mac, iOS and Android devices. It reduces the need to remember hundreds of logins and passwords, and provides easy access to your passwords right from Safari, Chrome, or Firefox. After the initial setup, 1Password is easy to maintain, and your data is automatically backed up. This is why we have put 1Password on our Best of Mac software page. The main benefit to using 1Password on your Mac is the ability to access it in your Web browser. When you sign up for or log into a website, 1Password is ready and waiting to handle your login needs. It will detect what page you’re on, and you can click on its extension to log into your account. If you have multiple logins for the same website, they will all show up in the drop-down extension. When you register for a new site, you can and should have 1Password generate a strong password for you, especially for financial and other sensitive related sites where you need to keep your data secure. In 1Password 4.0, you can now add login items for your favorite most used websites and have 1Password go directly to them and automatically log in for you. Version 4.0 also includes 1Password Mini, which rests in your Mac’s menu bar. The mini feature provides the same access to logins, credit card numbers, folders, and tags found in the web extension and the main 1Password application itself. 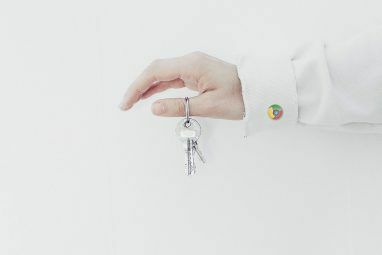 Apple’s keychain is not as easy to access as 1Password, nor does it provide the range of data management folders and other features that 1Password provides. 1Password includes Categories for organizing not only your login information, but secure notes, credit cards, driving licenses, social security card and software licenses. You can add any item in these categories to your Favorites folder, and you can create new and smart folders to group-related data. Oddly though, if you delete a folder, the contents of the folder also go to the trash. There should be an option to delete the folder but retain the items in the Login category. Luckily you can locate deleted items in the Trash and restore them to the category they originated from. In this latest version you can now filter items by title, website, date created, password, and password strength. 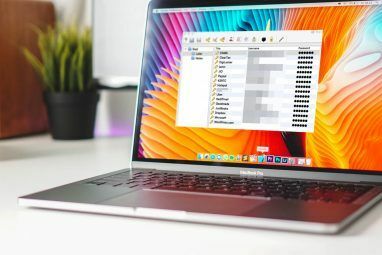 If you have accumulated lots of passwords over time, these filters are very useful for cleaning up your logins and strengthening the passwords for important sites. 1Password’s ability to keep software licenses is really convenient for applications you don’t purchase from the Mac App Store. 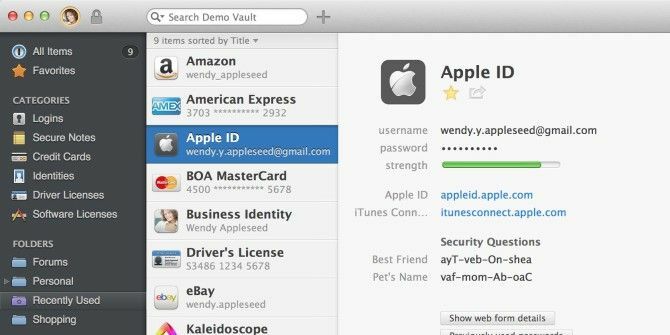 When you add the name of an application, 1Password will grab the icon for the software and from there you can add a licence key and other information you may need for reinstalling the software. This feature has saved me from hunting down license numbers on several occasions. As you’ve no doubt experienced, some websites require more than a login ID and password when you register. While the AutoFill feature in Safari will offer to fill in your personal identity information for you, 1Password allows you to create multiple identities to choose from. For potential spam sites, you might want to use a totally fake identity in order to register. 1Password is also available on iOS and Android devices, and it syncs your data between those devices without a problem, using Dropbox The Unofficial Guide To Dropbox The Unofficial Guide To Dropbox There's more to Dropbox than you might think: you can use it for file sharing, backing up your data, syncing files between computers and even remotely control your computer. Read More and iCloud What iCloud Is & Why It Changes Everything [Mac] What iCloud Is & Why It Changes Everything [Mac] Perhaps the biggest announcement made by Apple at the recent WWDC was that of iCloud, but many people are understandably not sure what it is. Is it a streaming media service? Is it a Dropbox... Read More . When it comes to syncing data using third-party apps, Dropbox has proven more efficient for me than iCloud. Other useful features in 1Password include the ability to add custom fields to items, multiple vaults for creating different sets of 1Password libraries, and adding multiple URLs to a single login. You can also use 1Password with the launcher application, Alfred, as explained on this Agilebits page. 1Password keeps your data secure with AES-256 encryption and PBKDF2 calibration. You can set the application itself to automatically lock after its been open for a specified period of time, and you can require your master password for accessing logins from the 1Password extension or in the 1Password Mini in the menu bar. A single license for 1Password 4 is $49.99. It’s a little pricey, but Agilebits keeps its software updated and ready for new Mac OS X releases. 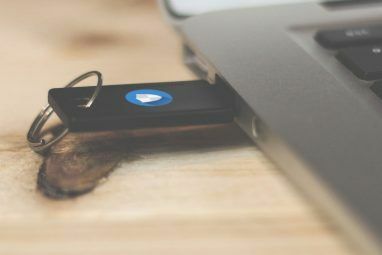 If your Mac laptop is your main computer and you frequently travel with it, you should definitely use 1Password for securing and accessing your data without the hassle of manually remembering or insecurely reusing passwords. If you’re not sure about spending money, check out the free solution of using KeePass X for OS X and MiniKeePass for iOS KeePassX & MiniKeePass: A Free, Secure iOS & Mac OS X Password Solution KeePassX & MiniKeePass: A Free, Secure iOS & Mac OS X Password Solution Your options for a truly free and secure password solution that syncs with iOS and OS X are limited, but thankfully a combination of KeyPassX and MiniKeePass makes it possible. Read More . If you’re a 1Password user already, let us know what you think of its functions and abilities. Explore more about: Password, Password Manager. Hey Carl, you should be able to go into 1Password Preferences and turn off Auto-Lock. I've done that, and it usually keeps it from locking. However, I have noticed that in version 4 it seems to lock when I quit Safari. But anyway, try turning of AutoLock and see what happens. If it doesn't work, notify the developers. I did. They told me too many people did that, left it on auto too long, and forgot their password so they made it impossible to leave it open for any length of time. I will not buy this app until they make it so I don't have to log in each time. Can you help with that? I would like to use this app. Oh wow, Carl, thanks for letting us know this. I assumed that if you disabled AutoLock that it will work how it did in the previous version. This doesn't seem to be the case, and I will definitely follow up with developers as well. Thanks for your feedback. I tried 1Password. I had to log into 1Password every time I went to use a device. Too much hassle! Thanks Ben for letting us know. I've heard of LastPass but have never checked it out because I've used 1Password for so long.